I loved Lucy and her hectic wonderful life, but I also loved that she could see both sides of things and while she didn’t always know which one was the right one, she always wanted to find the right one. Lucy is constantly picking up more and more dropped pieces for her boss Catherine, who is supposed to be the guru for balance in one’s life. She runs a company, spends time with her family, wrote a book and is now promoting said book along with all her other commitments and it is wearing her to the quick, straining her marriage and causing upheavel in her life and Lucy’s. One particularly bad day Katherine admits to Lucy just how bad things have gotten, and when Katherine appears to get in the way of Lucy’s dream job, Lucy may say a few things too many to the wrong person and set loose an avalanche of consequences for herself and for Katherine. Can they pick up the pieces after the storm and find their own balance or is it too late for both of them? Lucy looks at her own life and Katherine’s in detail while she tries to figure out who and what she wants to be and how to get there. 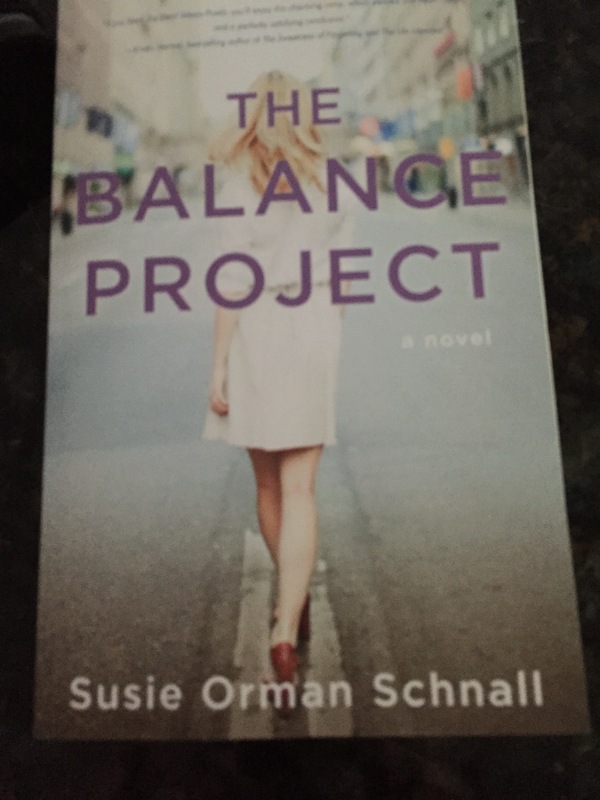 A novel about finding yourself, staying true to yourself in a crazy world, and being the best you can be balanced or not.